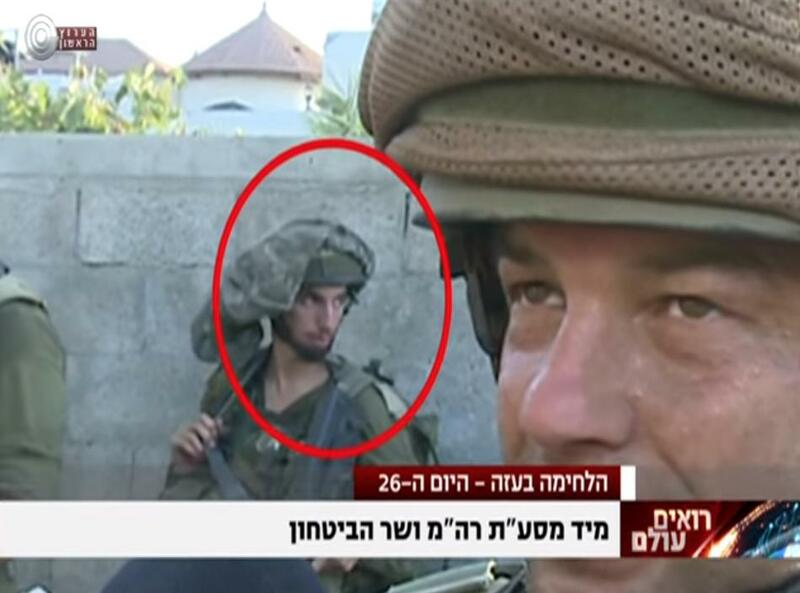 The ugly Israeli terrorist tells the B’Tselem human right’s reporter to leave. He is hitting her camera. When she refuses he orders her to “go stand behind the dumpster with the garbage”. 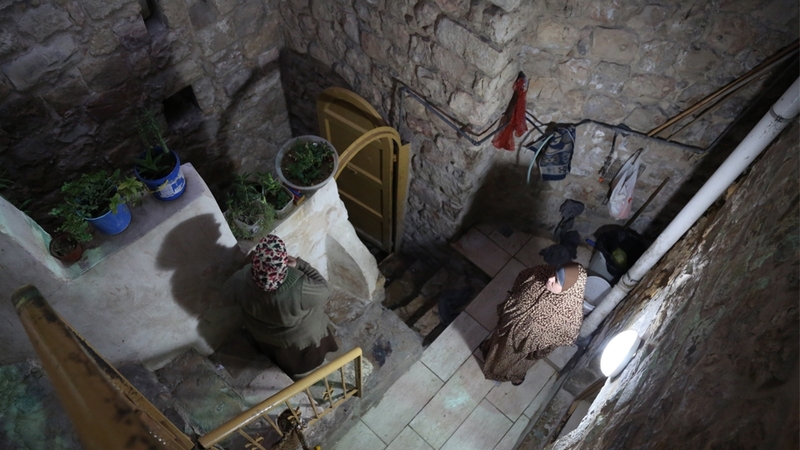 Hebron, occupied Palestine – The Ewaiwe family home in Hebron’s H2 district has been heavily fortified to protect them against the settlers living just next door in the illegal Avraham Avinu settlement. 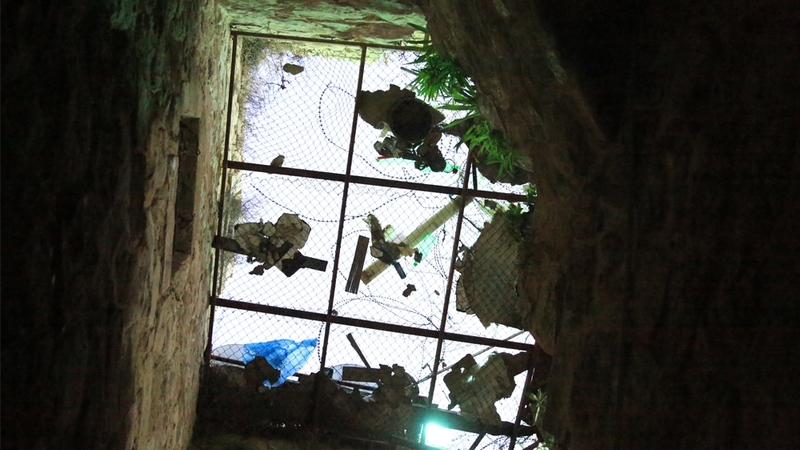 Rubbish thrown by settlers hangs on the wire mesh that shields the open courtyard in the centre of their home, set up by the Hebron Rehabilitation Committee (HRC) four years ago. Prior to that, their settler neighbors would push large water tanks from the roof of their three-story building into the open stairwell of their home, which could have seriously injured or killed someone if they had been standing there. Other times they would throw large rocks from the same spot above, which on one occasion hit their sink, splintering it into pieces. “I wish I could remove this mesh wire. I’m sick of it. It blocks the air, the sun,” Basma Ewaiwe said, looking at her plants lined up inside the dark stairwell. The garden that she used to have on her roof couldn’t survive the settler attacks. Barbed wire stretches across their building in an attempt to deter settler intrusions. 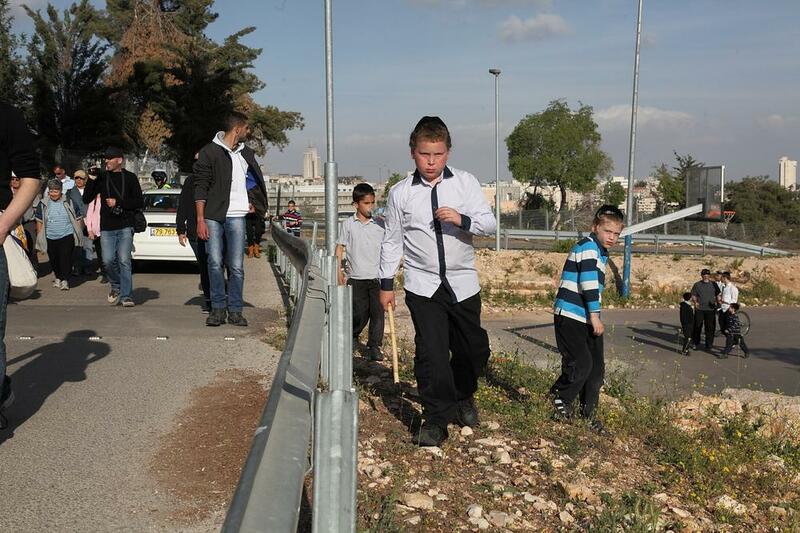 They’ve lost count of the number of times settlers broke into their home in an attempt to occupy it. 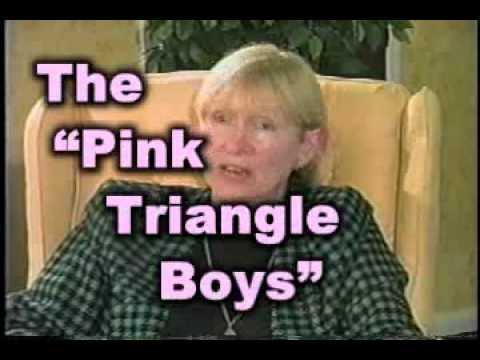 Their son’s bedroom has been set on fire numerous times. On another occasion, their neighbors threw a tear gas canister into the room where the family was sitting. The mother, Basma Ewaiwe, pregnant at the time, suffered a miscarriage following the incident. The Israeli army outpost stationed on top of their roof witnesses attacks, but does nothing, residents say. “Anytime there’s any [political] problem happening in the country, they come,” Nidal Ewaiwe, 50, told Al Jazeera. When former Israeli Defence Minister Avigdor Lieberman announced in October that another settlement had been approved to be built in Hebron for the first time in more than 20 years, the news wasn’t a surprise for the Ewaiwes. Over the decades in Hebron, as illegal settlements were built in the heart of the city, the Ewaiwe family saw the city centre – once bustling with markets, shops and factories – disintegrate into a ghost town as poverty increased among its residents. Illegal settlements have been expanding across the West Bank, including East Jerusalem, for decades, but there has been no accountability. The latest settlement project – the sixth in Hebron’s H2 district under Israeli military control – will be built on a former Israeli army base, comprising 31 settler homes at a cost of $6.1m in government funding. It has been 50 years since Israel occupied the West Bank and the Gaza Strip following the 1967 war, 70 years of total occupation of Palestine making it the longest lasting military occupation in the world, with no end in sight. Occupation and colonialism are legally justified only as a “short-term and abnormal condition that is leading unhesitatingly towards self-determination and sovereignty”, Michael Lynk, the UN special rapporteur for human rights in the occupied Palestinian territories, wrote in his 2017 report to the General Assembly. Yet, there has been a surge of tenders for settlement construction in the past two years since US President Donald Trump took office, according to Israeli organisation Peace Now. In 2017 and 2018 there were tenders for 3,154 and 3,167 settlement housing units, respectively, compared with just 42 in 2016. In March 2017, after two decades, the Israeli security cabinet announced plans to build a new settlement in the occupied West Bank. Currently, there are some 600,000-750,000 illegal settlers living in about 150 settlements across the West Bank and East Jerusalem, built on land the Palestinians had envisioned for a future state. 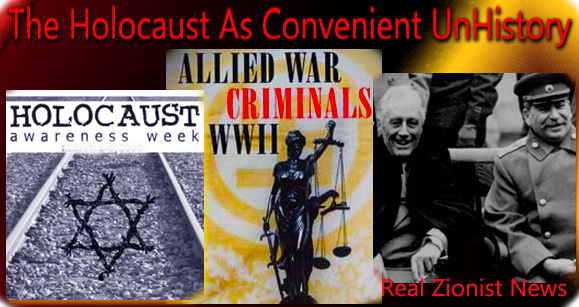 It’s a violation of the Fourth Geneva Convention, according to the UN, which forbids states from transferring their citizens to occupied land, as well as a presumptive war crime under the 1998 Statute of Rome that set up the International Criminal Court. 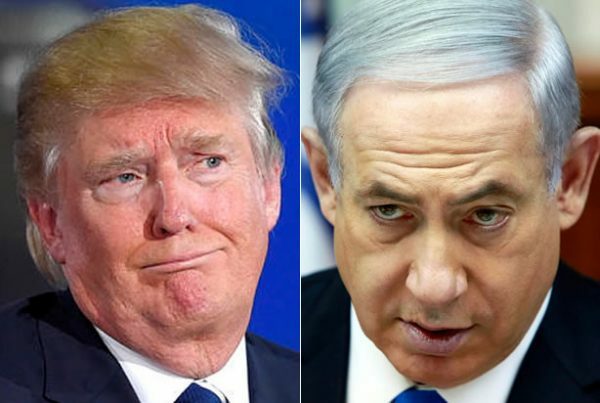 According to Lynk, the two-state solution is on “life support with a fading pulse” and Israel’s occupation has crossed the red line into illegality. Last month in a report to the General Assembly, he urged the international community to take action to stop Israel’s annexation of the West Bank with its settlement expansion and annexation laws adopted since the beginning of 2017. Failing to do so will likely prompt Israel to formalise annexation into domestic law, Lynk warned, adding that most Israeli cabinet ministers have advocated for some form of annexation of the West Bank. Marking the 50th anniversary of Israel’s occupation of the West Bank in 2017, Israeli Prime Minister Benjamin Netanyahu vowed to never remove the illegal settlements. The imported Jews are not indigenous to the land and region. With its legislative measures that sought to apply Israeli law to the West Bank and the 2017 settlement regularization law, which retroactively legalizes settlements, Lynk told Al Jazeera that Israel is moving rapidly towards the stage where it may state that it will annex parts of the West Bank. “I think annexation is in the air… Israel is being particularly bold over the last 20 months in accelerating the patterns of annexation. Indeed, I think we’re at a stage where occupation is becoming indistinguishable from annexation,” Lynk said. Israel has refused to comply with more than 40 UN Security Council resolutions and about 100 General Assembly resolutions. “Israel doesn’t need to declare formal annexation for its annexation steps to be unlawful under international law, as long as it is taking steps to ensure the permanency of its settlements and trying to establish sovereign facts on the ground. That is sufficient for it to be illegal under international law,” Lynk said. The newest settlement to be built in Hebron is yet another reaffirmation of Israel’s intention to remain permanently in the West Bank and in East Jerusalem, Lynk said. 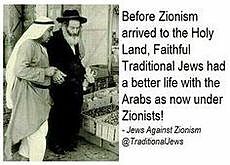 Palestinian Jews were removed and replaced by imported Zionists. For Zleikha Muhtaseb, director of a women’s cooperative in Hebron’s H2, she worries the new settlement will bring more restrictions for Palestinians living and working nearby. “We’re worried because they keep expanding… With the new settlement, it will cause more violence. We already have very extreme settlers, but you never know how extreme the newcomers will be. Like the Ewaiwe family, the balcony in her house has also been fortified with a metal grid to prevent settlers from breaking in. For the Ewaiwes, if settlers aren’t paying them visits, then it’s the Israeli forces. Last month, they were renovating rooms on the ground floor to provide a home for their engaged son as he cannot afford to pay rent elsewhere. A UN stipulation for imported European Jews was to observe freedom for all Holy Places of each religion. Instead, they claim sovereignty over all, Christians included. But Israeli forces soon arrived and banned any renovation under a military order. They stacked up sandbags blocking access to the upper floor and set up barbed wire for extra measure. Their son’s wedding was planned for December but it has been postponed until they can find a solution. For the Ewaiwes, the only way to deal with their difficult situation is to be patient. There is little else they can do. “Alhamdulillah, alhamdulillah [all thanks are to God],” Nidal said, regarding their situation. “What can we say about our life? We’re alive.